Eric Victor Burdon (May 11, 1941 in Newcastle, England) is a singer. He formed The Animals in 1963, a blues rock group who were one of the early influences of punk rock. They were known for their organ-guitar sound and Burdon's aggressive show performance, screaming, growling and howling. In September 1966 he formed Eric Burdon & The Animals, a psychedelic/progressive/hard rock group, who influenced grunge, heavy metal and the modern alternative rock genre. When they disbanded in late 1968, Burdon formed War, an experimental funk/soul/jazz/blues/latin rock-outfit. Burdon left also this band and run back to stardome in the mid-70s with The Eric Burdon Band producing heavy rocking songs. He went on forming short-living groups such as Eric Burdon's Fire Dept. in 1980, another Eric Burdon Band in 1981, especially for a motion picture-starring role in Comeback for which he made the soundtrack and a reunion band with The Animals in 1983 to get back to the Mainstream Charts. The 1980s saw Burdon in genres such as heavy metal, new wave, pop, reggae, disco, blues, rock and roll, punk, funk and rap. He also published his album "I Used To Be An Animal" as well as his autobiography with the same title. He went on touring in stadiums as well as in small clubs around the world. In 1990 he formed the Eric Burdon & Robby Krieger Band who toured mainly in America. They recorded some demo tapes, but never released them. In 1991 he toured the world again as Eric Burdon & Brian Auger Band. They released a double-live album, "Access All Areas" in 1993, showing versions of Burdon's old hits in new musical outfits, once again as a blues, metal, reggae and fusion performer. In 1994 they got disbanded, Burdon got introduced into the Rock and Roll Hall of Fame, where he performed 1995 with Bon Jovi and created a new group of high-professional musicians, Eric Burdon's i Band. They disbanded in 1998 and he formed Eric Burdon & the New Animals. 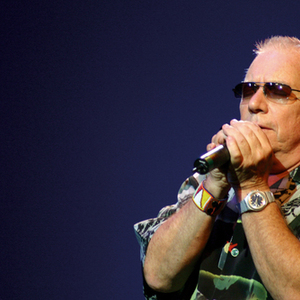 In 2003 they changed their name in Eric Burdon & The Animals, after some band changes. In 2004 the long awaited studio-album "My Secret Life" was released and brought him back into the mainstream charts and in late 2005 the live album "Athens Traffic Live" was released. Burdon formed a new band-line-up, also touring as Eric Burdon & The Animals. In January 2006 he released "Soul of a Man", with good critics worldwide. He wanted to create an album who is dedicated to the blues and rnb. Since then he toured the world without a break, always looking for new material, performing with other famous musicians. Recently, Burdon wrote a screenplay called "Twisted Oliver" and is working on a new studio album. He turned down tours with War and Linkin Park in the last year, but it seems that the new year is bringing many surprises. Many of his bands also used elements of speed metal, thrash metal, grindcore and death metal. He's definitely one of the most important people in music history, while recording the first #1 hit with a length more than four minutes, "House of the Rising Sun", the most popular anti-vietnam song "We Gotta Get out of this Place", the first song recorded in stereo, "Sky Pilot" and the first latin rap in pop music, "Spill the Wine". His self-written rock song "Year of the Guru" (1968) proves that he created the first rap rock-song. His political environment can be seen in his multi-racial project with the band War from late 1969 to early 1971. In 2008 he reunited with the band at the Royal Albert Hall in London. Without his experimental vocals, hip hop, rap, heavy metal, rock, pop and rnb would have a completely different face. His singing style and music also influenced artists such as Joe Cocker, The Doors, Deep Purple, The Brute Chorus, Ted Nugent, Janis Joplin, The Sonics, Steppenwolf, Chester Bennington, Bruce Springsteen, The Black Crowes, Tom Petty, The White Stripes, Ryan Adams, John Mellencamp, The Compulsive Gamblers, The Vines, Julian Thome, The Hives, MC5 and many more. In November 2008 the magazine Rolling Stone ranked him #57 on their list of the Best Singers of all Times.